When a Kingdom Woman retires for the evening, a frustrated and worn out devil ought to be saying, We messed with the wrong woman today. This study guide is a companion resource to the video small-group study (9781624052095) based on the book Kingdom Woman (9781589977433), which instructs every Christ-following woman on how to tap into the power of God as she finds and fulfills the purpose for which God has fashioned her. A Kingdom Woman embraces a simple premise: unless a Kingdom rests firmly under the authority of the ruler, anarchy reigns. Thats why a Kingdom Woman always seeks to align herself and operate under the authority of Godin every area of life. 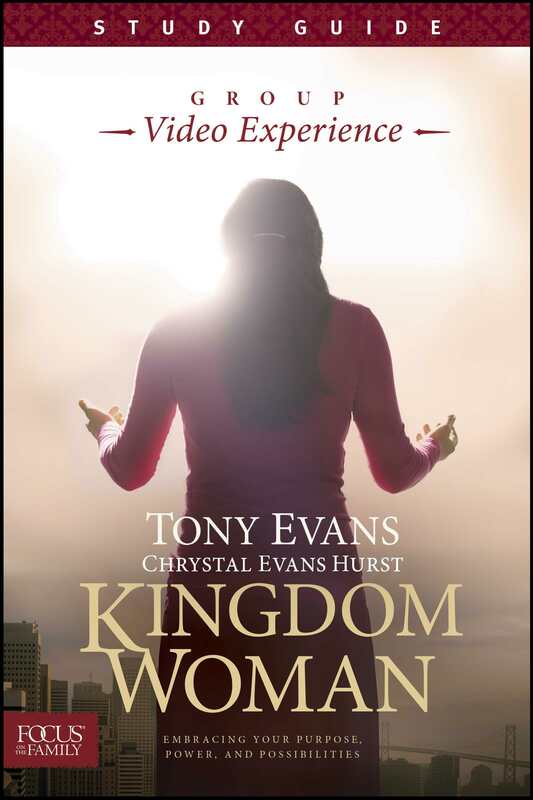 With practical insights and applications from coauthor Chrystal Evans Hurst, Tony Evans explains how that process can unleash new purpose, power, and possibilitiesin both the lives of Kingdom Women and those they love. This curriculum can be covered in about six weeks. This study guide (9781624052101). This study guide is to be used in conjunction with the Kingdom Woman Group Video Experience. For more information on the hardcover book or the video small-group study, see the product description for each. Kingdom Woman, Study Guide by Chrystal Evans Hurst; Tony Evans was published by Tyndale House Publishers in January 2014 and is our 45844th best seller. The ISBN for Kingdom Woman, Study Guide is 9781624052101. Be the first to review Kingdom Woman, Study Guide! Got a question? No problem! Just click here to ask us about Kingdom Woman, Study Guide.